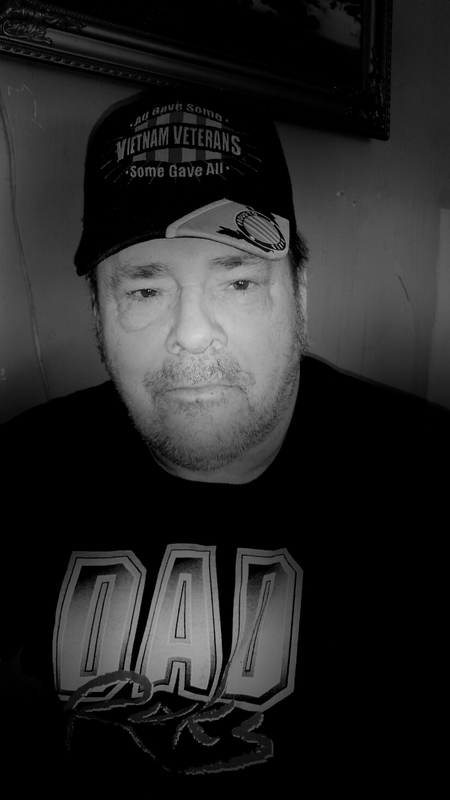 Ronnie A. Reaves, age 67, of Bolivar, MO, went to be with the Lord on the morning of October 30, 2016, after a long battle with the big bad C. He was born July 29, 1949, in Warsaw, MO, the son of Leo and Ila (Kirby) Reaves. Ronnie proudly served our country multiple tours in the Vietnam War. He was a firm believer in our Savior Jesus Christ. Ronnie was known for his talkative nature and his caring heart. He was a kind man that would give you his time and would always help someone in need. He was a man who truly had something for everyone. He loved to acquire anything unique. He loved to barter even more. Ronnie had an impressive undying love for his family and friends. He left a mark on everyone he met and he will truly be missed by all. Preceding Ronnie in death were: Dad Leo, Mom Ila, brothers, Charles "Bub" McGinnis, Junior McGinnis, Lonnie "Geno" Reaves, and Roy Berkenbile, sisters, Debra Berkenbile and Linda Hontz, uncle Doug Reaves, granddaughter Taron Luetjen and great-granddaughter Sophia Houk. Survivors include: his wife Lillie "Rose" Goff of the home, sister Charlotte Perry of Warsaw, brothers Teddy Reaves of Sedalia and Roger McGinnis of Versailles, three daughters, Rhonda Clark and husband Eddie of Columbia, Debra Kost and husband Kevin of Bolivar, and Cristal Dingledine of Bolivar, three step-children, Robert Goff and wife Annessa of Maryville, John Goff of Chillicothe and Chantel Small and husband Andy of Bolivar, sixteen grandkids: Tre Ray, Terrika Miller, Elizabeth and Lacrista Todd, Faith Dingledine, Linda and Ronnie Kost, J.R. and Jewely Stevens, Andrew Small, John, Nicholas and Summer Goff, Jasmine Quick, Elijah Steward, Rhylie Stallsmith and Olivia on the way, and one great-granddaughter, Izzabellah Houk. Funeral services for Ronnie Reaves were held on Friday, November 4, 2016, at 11:00 a.m. at First Assembly of God in Bolivar, MO. The family received friends from 10:00 until service time at the church. Carl Closser officiated. Burial followed at 2:30 p.m. at Concord Cemetery near Fristoe, MO, under the direction of Bland-Hackleman Funeral Home. Pallbearers were: John Goff, Robert Goff, J.R. Stevens, Andy Small, Nathan Kearney, and Kevin Kost. Honorary pallbearers were: Andrew Small, John Goff, III, and Ronnie Kost.